Has the size of the portion on your plate hampered your efforts to lose weight before surgery? Does it threaten to sabotage your efforts further down the line after WLS? It would hardly be surprising because general serving portions have ballooned over the last few decades and fast food portions have been analysed and shown to have doubled or tripled over the last 20 years. In fact our dinner plate size has grown just as fast as our waist sizes have increased from the 1960’s to the present day. But all is not lost because it is easy to trick the eye (stomach and brain too) into accepting smaller, more acceptable, portions with just using a smaller plate. Check out the picture below and guess which is the larger and smaller portion….ok, it’s a trick, they are both the same but you can see how easy it is to accept that the smaller plate has sufficient food on it. 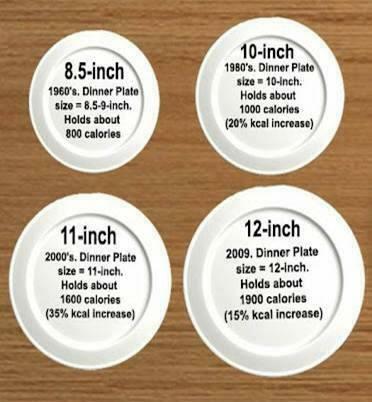 So the way forward, as a first step, to checking portion distortion, is to size up your plate! Instead of the man-sized monster you might have been using, opt for a smaller side, salad or special bariatric portion plate. The latter also enables you to not only size up the portion correctly but select the right proportions of foods for good healthy weight-loss and maintenance after bariatric surgery (and shouldn’t be confused with a normal healthy eating portion plate). Monitoring portion sizes has to be top of the list of healthy upgrades after WLS – we all love food and so we’re tempted to eat too much of it. Portion control is therefore critical to getting a healthy diet and slim waistline. It’s so easy to underestimate the amount we eat and portion sizes as well as plate sizes have increased dramatically which doesn’t help to keep things in check. Just remember the following portion control basics to help stay on track. * Firstly it’s important to understand the difference between a portion and a serving. They’re not the same! A portion is the amount we choose to consume, whilst a serving is the recommended amount of food we should eat based on the nutrition facts label. So, when choosing your portions, try to make them similar or smaller to the recommended serving size, not greater than. Fill half of the plate with lean protein. By protein we mean meat, fish, poultry, game, eggs, low-fat cheese, pulses, lentils, nuts and vegetarian options like soy protein, Quorn and tofu. Fill a quarter of the plate with vegetables or salad. Fill a quarter of the plate with starchy foods like rice, pasta, potatoes, couscous, bread and other grains. Ideally choose whole wheat or wholemeal varieties that have more fibre. And remember that eating slowly and mindfully can also keep portion sizes in check! Here are a couple of summer-eating recipes that have been specifically developed and portion-controlled for bariatric patients. There’s more here on www.bariatriccookery.com and check out the details of the bariatric portion plate here. 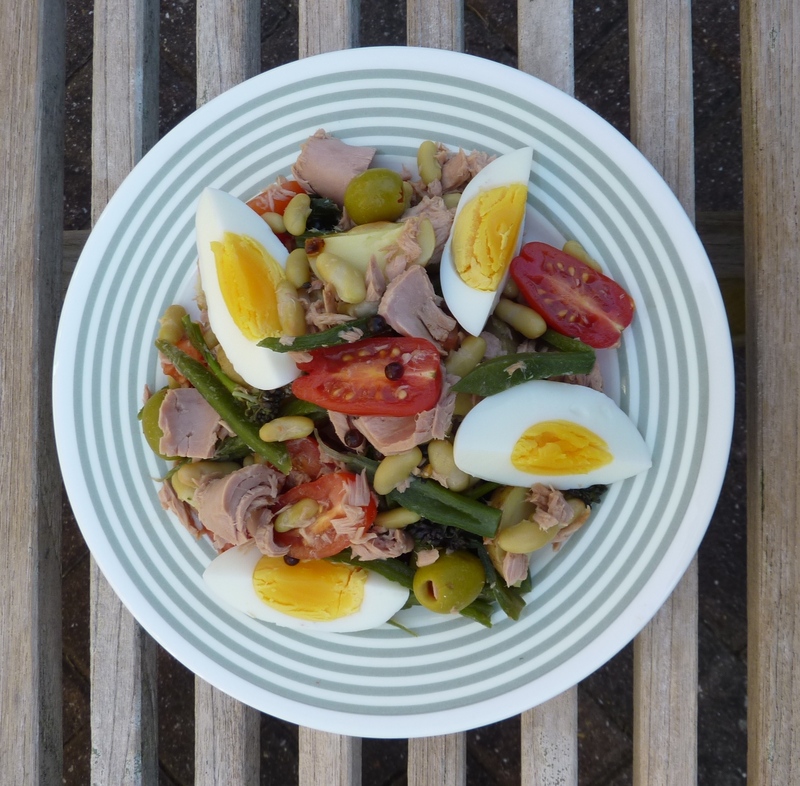 This salad, made with tuna, canned beans, eggs, green beans, tomatoes and olives is very high in protein and endlessly versatile. It makes a lovely light summer lunch for friends and family and yet can also be packed into a box for a desk-top lunch or picnic outdoors. 1. Cook the potatoes in boiling water until tender, about 15-20 minutes. Drain and set aside. 2. Meanwhile, cook the eggs in boiling water until just hard-boiled/hard-cooked but not dry, about 7 minutes. Cool under running water for 5 minutes then shell, cut in wedges and set aside. 3. In the meantime, cook the green beans in boiling water for 2 minutes. Drain, lightly refresh under cold water then drain again. 4. Mix the potatoes with the eggs, green beans, canned beans, tuna, olives, tomatoes and anchovy fillets if used. 5. Mix the shallot with the French dressing and salt and pepper to taste. Pour over the salad mixture and mix gently to serve. Here’s a bariatric friendly version of the classic prawn/shrimp cocktail – with added avocado. Serve with a couple of small crackers if you can tolerate them. 1. Mix the prawns/shrimp with the mayonnaise, tomato paste, lemon zest, lemon juice, herbs, Tabasco and salt and pepper to taste. Just before serving fold in the avocado. 2. 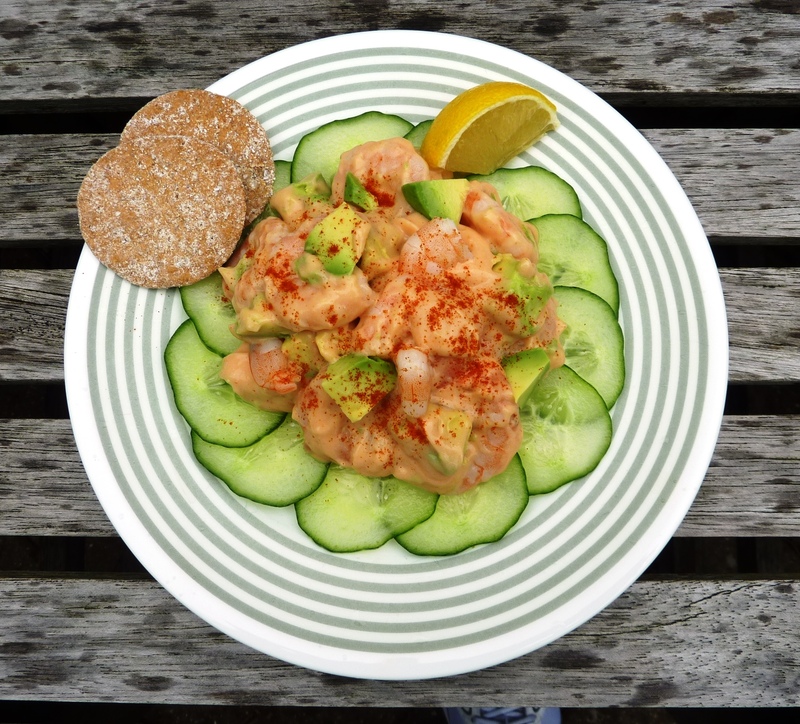 Line a plate with cucumber slices and top with the prawn/shrimp and avocado mixture. Sprinkle with cayenne pepper to serve if liked. I’m trying to get back on track on my weight loss. I had RNY in December of 2010, never made to goal and had some regain. I have a couple questions please! The first is probably a silly question but if a recipe says it serves 4 and a WLS portion is 1/2, that means it’s 8 WLS portions? And the nutrition is based on 4 servings? 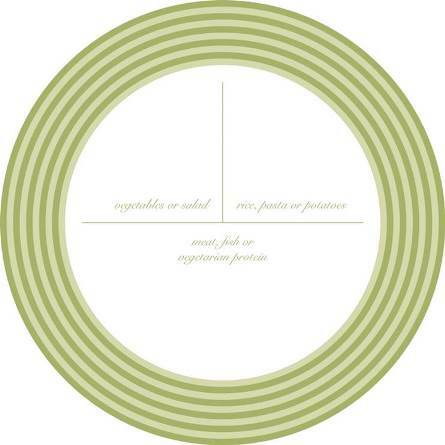 Also, your WLS prtion plates, is 6 1/2″ to 7″ the entire plate or just the area the food is loaded on? Thanks so much for your wonderful site!